Skyscraper Defense Inc. was officially incorporated on September 11th 2008. 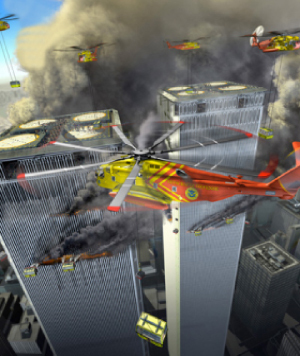 Since its creation, Skyscraper Defense Inc. has been on a mission to develop high-rise firefighting and rescue equipment and protocols, including robotic and manned firefighting pods, rescue gondolas, simulation training programs for future Skyscraper Defense teams, and a new rating system for skyscrapers. It is our belief that people who live and work in towering skyscrapers should not do so in fear of meeting the same fate of those who died on 9/11. Instead, they should rest assured that if an emergency were to occur, the world’s most elite team of skyscraper defenders is coming to save them!